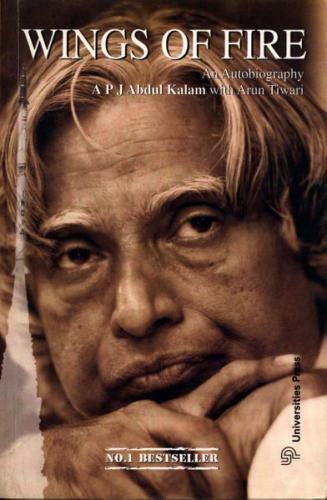 The first time I read about someone called APJ Abdul Kalam was in the fifth standard as there was a chapter on him in our English textbooks. You won’t even believe what my concern was then, as I casually read though the chapter. How would I ever remember his full name? Avul Pakir Jainulabdeen Abdul Kalam, that was indeed long. But little did we know that his achievement list was way longer. Accidently in the same very year my grandmother gifted me a copy of ‘Wings of Fire’ from the book fair and it then I realized who the 11th President of India actually was. As I read more about his works and subsequently learnt more about his humbleness, I realized that it he who defined actually a ‘Bharat Ratna’ is. As kids, we encountered this question very often as to who do we aspire to be when we grow up. The answer by the end of fifth grade for me was clearly Dr. Kalam. In fact, my I used to tell my best friends, Pallab and Jyotirmoy that the initials of our name resembled Dr. Kalam’s initials and we are so damn lucky that the trio called be called APJ. My ambition though changed in the sixth grade, but my teachers were convinced that I would be scientist as I admired the ‘Missile Man of India’ so much. (Of course they were wrong, but they had their reasons to believe so). Not really sure how many of you have heard of it, but there is something called National Children’s Science Congress (NCSC). Initiated in the year 1993, NCSC provides children of 10 to 17 years from all over the country an opportunity to use their scientific temperament and knowledge. Every year, NCSC was hosted by one state and students from all over the country come in and present their projects. The 2006 edition was due to be held in Guwahati, Assam. 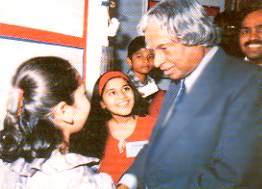 It still remember it was a radio broadcast early in the morning that announced the NCSC 2006 in Assam and also confirmed that Dr. APJ Abdul Kalam, President of India and a pioneer scientist would be the chief guest in the finale. That was it, at that very moment I decided to participate, without any idea as to what to do, but just to be able to earn a chance to meet this great man. I swear to every word I have written here, the solo aim of me participating in NCSC 2006 was to meet this great man, and nothing else. This was probably the instance that made my teachers believe that I wanted to be scientist. Indeed I did participate, with a cliché Rain Water Harvesting project, but unfortunately I came 11th in the state and only the Top 10 qualified into the national level and earned the opportunity to meet Dr. Kalam. But the real heartbreak came when a notice came to my school that they could still send in group (two students) into the finale as the Government of Assam wanted students from the state to interact with Dr. Kalam. My school decided that I was too young and instead shortlisted two ninth grader students. I can’t even express how much I cried that day. Sitting in the last bench, I wept like a newlywed bride as Pallab consoled me that we will get many other opportunities to meet him. Well, unfortunately even my seniors could not meet him, as he had to cancel the trip due to the 2006 Tsunami that hit the Eastern coast of India. There are no words that can define my admiration for this man. From a fisherman’s son to being the 11th President of India, he is a text book example for every child studying out there. Not just he secured our country by contributing to the Missile research of the country and Prokhran Nuclear test, but also taught us value able lessons as to how to remain humble despite everything. What great man he is that even in his last breath he was addressing a bunch of students. This man dedicated everything to the nation. I would not call this an obituary, as no man I know is cable able enough for writing one for him. This post is just dedicated to this great man, who probably has inspired many like me. He did not inspire me to be a scientist; he inspired me to be someone who I wanted to be. Dr. Kalam, you were a gem who India will never get back. Let’s just all work together to achieve his vision of India 2020.